This is a medical sci-fi adventure that isn't often on the minds of sci-fi fans . . . . 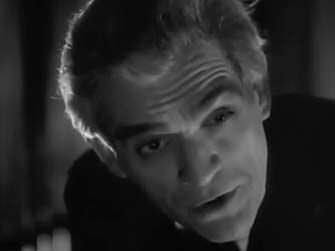 Evil Dr. Laurience, played by Boris Karloff, has invented electrical equipment that can transfer the mind of one person into the body of another, with disastrous results. 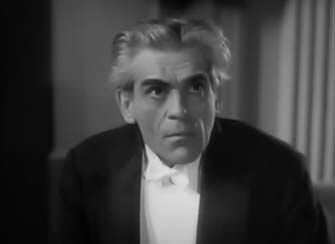 One of the English titles for this seldom-seen Boris Karloff vehicle is a pun on the story's serious and unusual premise. 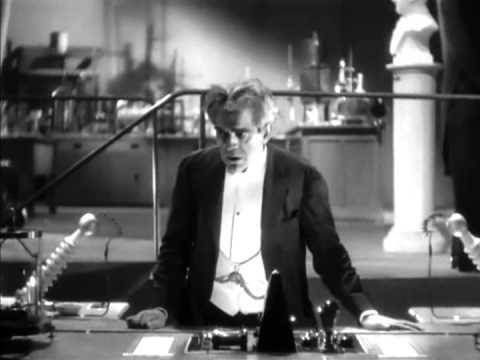 Karloff invents a device that transfers "minds" from one body to another body without removing the brain. When he attempts to explain his new discovery to a group of scientists, they just laugh at him, and his financial backer withdraws his support. 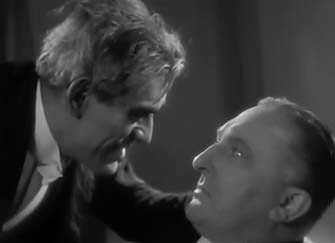 Embittered by these setbacks, Karloff subjects his former financial backer to the mind-transfer process in an effort to give his loyal hunchback servant a healthy body. The process fails and they both die. 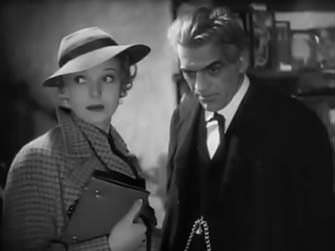 Fearing the repercussions of his actions, Karloff devises a devilish plan with a double purpose; he commits a murder and then trades bodies with John Loder, the fiance of his lovely young lab assistant (Anna Lee). 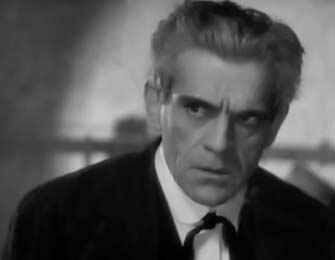 In Loder's body Karloff hopes to escape justice and have the girl. 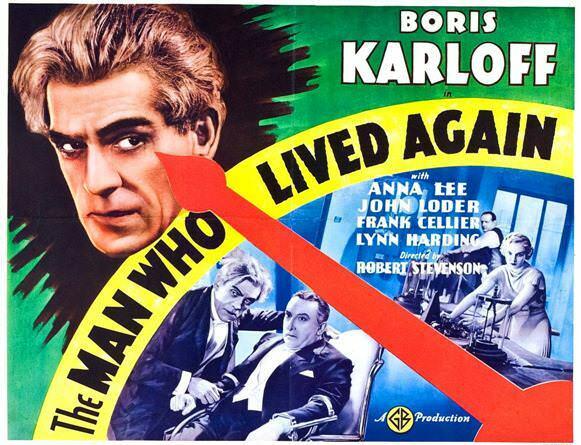 A clever twist ending does justice to this odd concept, one of Karloff's best roles. Directed by Robert Stevenson. 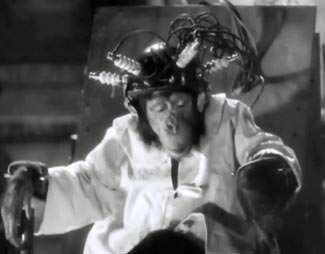 No, this is not a movie about a chimpanzee with a four-cylinder brain! 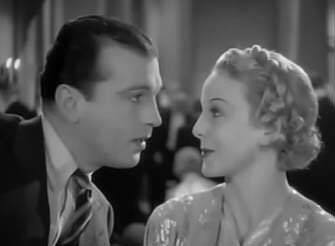 Unlike most sci-fi/horror movies from the 1930s and 1940s, this one is actually more sci-fi than horror. 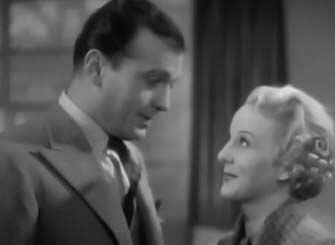 Jimbo Berkey offers his comments about The Man Who Changed His Mind (1936) (aka The Chimp Who Changed His Spark Plugs) from his website, Free Classic Movies. After reading his review, click on the title above and watch the movie! The download Jimbo offers is 1.2 GB's and looks great! And I'm happy to report that the audio is excellent, something which isn't always true of older movies. But this one has absolutely NO hiss or crackle. 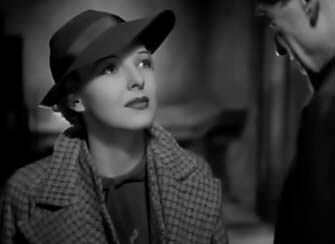 Obviously someone enhanced the audio by removing the hiss we often hear in movies from this era. And they did it without muffling the treble, I happy to say. Admittedly they raised the bass a bit too much, but I adjusted that on my graphic equalizer. Enjoy the movie! And don't forget to make the popcorn first. It has long been believed that only women were allowed to change their mind as often as the wind blows the leaves on a cool autumn day, but in this story from long ago . . . . oops . . . Wrong Story . . . . Let me begin again . . . Science Fiction is more than space ships and Martians, it can be unexplored medical science gone amok, like in this adventure. As our adventure begins, beautiful blonde lady Doctor Clare Wyatt is finishing a surgery at a London hospital and the other surgeon tells the group that this will be her final surgery at the hospital. Clare is leaving the hospital to work with an eccentric scientist, and before she leaves, the other surgeon asks her if she won’t change her mind. . . . sigh . . . There I go again. This adventure is full of lightning bolts flashing between dials and meters and other scientific wonders . . . and the mind of man . . . The minds of two men . . . swapped in an evil and devious scientific experiment. Dr. Laurience also has another assistant, a broken shell of a man in a wheel chair, who seems a bit more than a sandwich short of a picnic. Lord Haslewood is a wealthy newspaper owner who has built the biggest medical research laboratory in Europe. 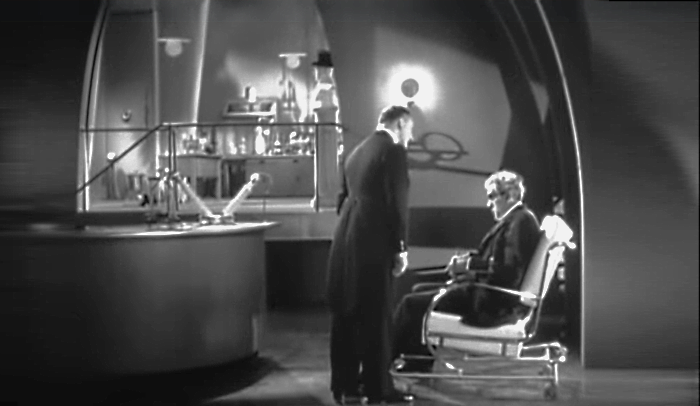 He meets the mad scientist and offers him the use of his elaborate laboratories and unlimited funds. 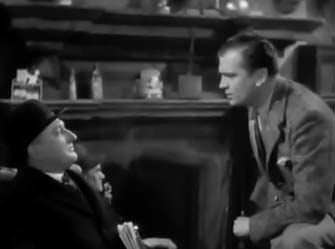 Of course, the mad doctor reluctantly accepts. 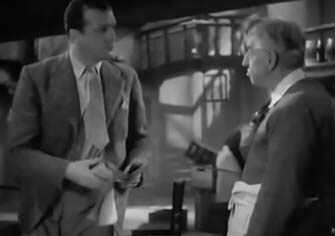 After perfecting his brain transfer equipment, the mad doctor gives a speech at a conference of medical researchers, and when they scoff at the doctor’s outrageous theories, Lord Haslewood tells the mad doctor that his work is over and he must leave immediately without his papers or equipment. 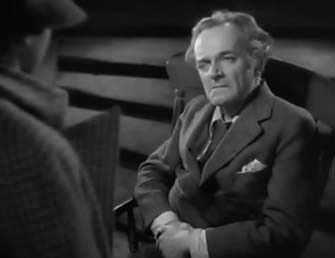 Angered, the mad doctor straps Lord Haslewood into a chair, while his crippled and demented assistant occupies the other chair. After the lightning bolts and sounds of wavering, eerie sci-fi woo-woos, the transformation is complete. 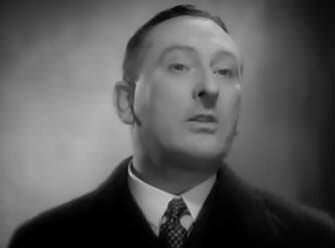 The mind of the doctor’s crippled assistant is now in body of Lord Haslewood. Pop a big bowl of white kernel popcorn drizzled with plenty of warm melted butter and enjoy the show. 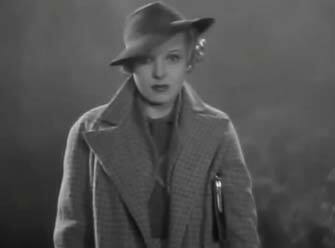 This amazingly complex movie with a totally original premise is one of the best science fiction films of the 30s and 40s! And I’d never watched it until today! The acting is superb! 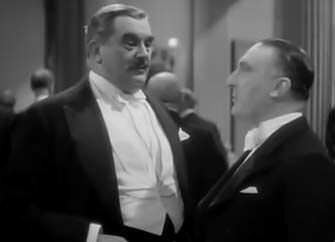 Karloff rarely gave a better performance, and the rest of the cast is so good they stand shoulder-to-shoulder with the famous star of this film. 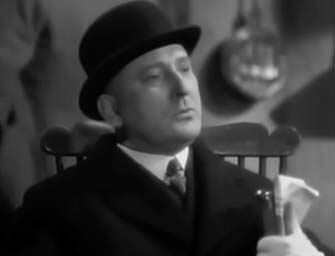 The actor who plays the ruthless, arrogant, pompous millionaire (Frank Cellier) who initially backs Karkloff's scientific work and then later reneges on the deal manages to steal the show when Karloff uses his machine to place the "mind" of his poor crippled friend (Donald Calthrop) into the body of the villainous millionaire. The results are amazing! The formerly cynical man who expected to die soon from some unspecified ailment suddenly finds himself healthy, rich, and powerful — and he's overjoyed by his "new lease on life". 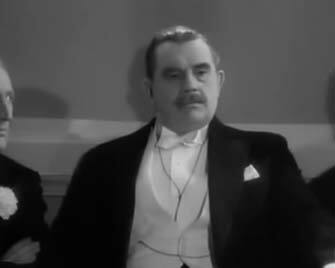 I was delighted by the way Frank Cellier managed to make us hate him when his millionaire character betrays Karloff and threatens to destroy his work. But after the transformation — when the former cynical man in the wheelchair is suddenly in the body of the healthy, powerful millionaire — we enjoy the way he cleverly fumbles his way through corporate meetings and family situations, carefully hiding the fact that he's an imposter while he manages to learn how to fit into his new identity. This is one of the strongest aspect of this wonderful movie, the imaginative way a man we pity — confined to a wheelchair and yet bravely facing his eminent demise — is suddenly allowed to take over the life of a greedy, selfish millionaire and use his new identify in so many ways (so good, some bad). 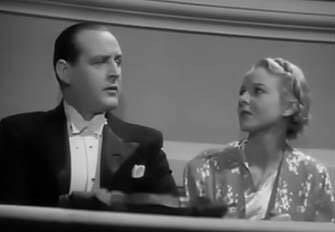 It’s a lot like Here Comes Mr. Jordan (1941). 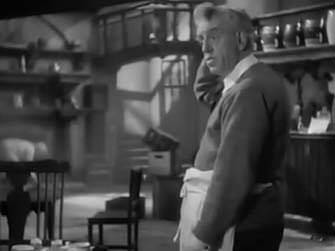 Prior to uses his amazing procedure on the crippled man, Karloff becomes bitter and selfish after the scientific community scorns him when he tries to explain his amazing discovery. 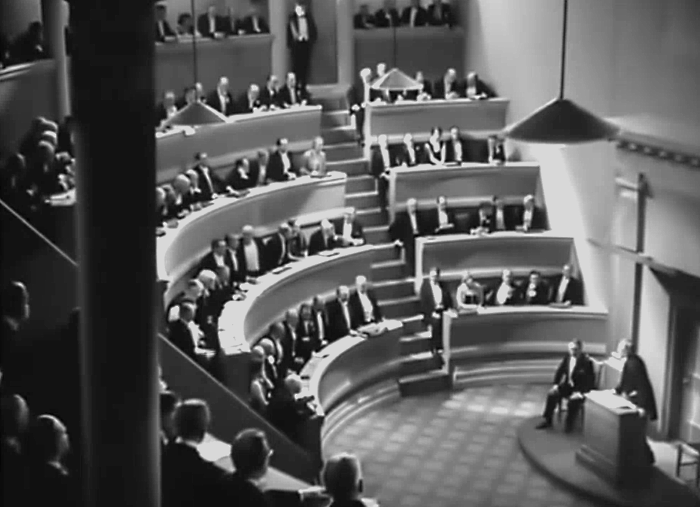 The design Karloff’s laboratory and the lecture hall filled with scientists when Karloff addresses them both have modern look which shows us that this movie has more in common with Things to Come than Frankenstein! 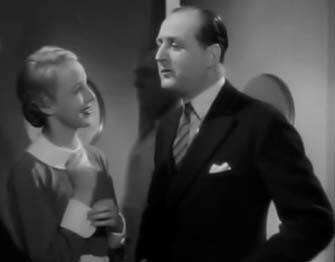 I should mention that the laboratory scenes in the first part of the movie do a perfect job of convincing us that Boris is developing a prototype device that transfers the brain patterns and memories of one individual to another individual, thereby effectively changing one individual in another. 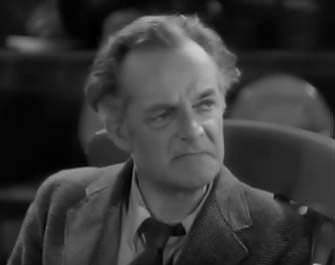 In an early scene, he transfers the brain patterns of a tame and gentle chimpanzee into the body of a violent and dangerous one, and vice versa. As a result, the violent chimp becomes tame and gentle, and the gentle chimp becomes hell-on-wheels! Good Lord, what a concept. I love it. What the machine does is effectively swap the “brains” of the two individuals without the need to physically transplant the two organs. 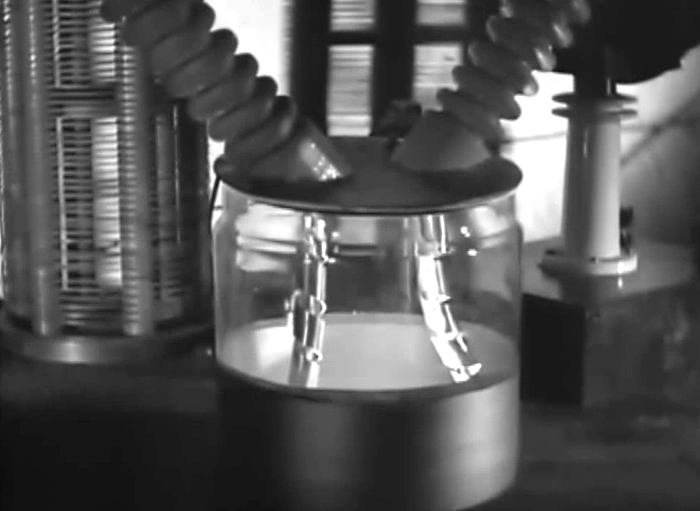 He’s even able to store the “mind” in a container, “just like electricity” as Karloff puts in, and he can insert it back into the brain of the original animal or human if came from or some other individual. 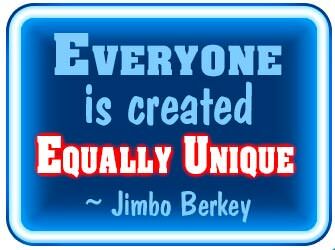 The imaginative members of All Sci-Fi could discuss this idea for days! 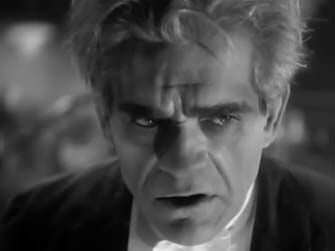 After setting up this novel concept brilliantly, the movie does a masterful job of taking full advantage of their groundwork and applying the concept when Karloff exacts his revenge for the disgraceful treatment he endures at the hands of the millionaire. 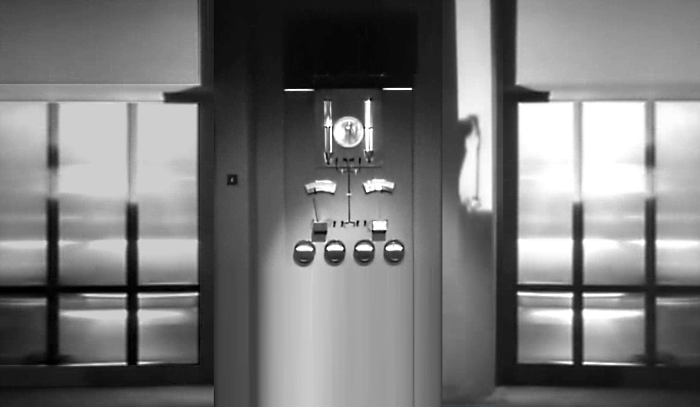 During the scenes which show two people who are having their “minds” swapped while sitting in chairs inside the chambers with the opaque glass doors shown above, there are bright flashing lights within each chamber that rapidly flash back and forth. It's a very dramatic effect when combined with the impressive sound effects and the fine music. 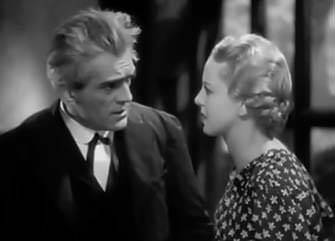 At the risk of spoiling the best part of this movie, I’ll mention that the lovely blond assistance (a skilled surgeon) which Karloff employs to help him perfect his procedure is the fiancé of the millionaire’s son, and when she discovers that the millionaire has been acting a bit odd recently, she proves she’s the smartest one in the room by realizing that the daddy of her fiancé isn’t really daddy anymore — thanks to Karloff’s miraculous Freaky Friday machine! This movie is available on YouTube, and the picture quality seems about as good as Jimbo’s version. 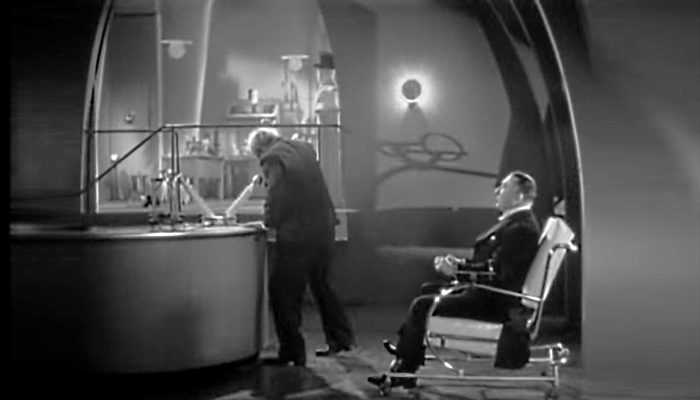 Could Karloff's mind transference device be related to the "thought transferance" machine of This Island Earth? Interesting idea, but the two machines did very different things. 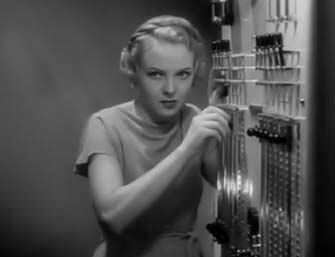 The thought transference machine somehow made people easily controlled, according to the dialog in This Island Earth. 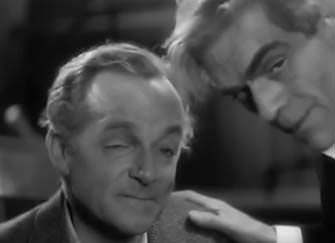 Karloff's device literally moved a person's "mind" (their basic nature, their memories, etc.) to another person's brain and wiped out everything the recipient previously had. — indefinitely while the body just sat motionless with an empty brain, and then the mind/data could be put back into the original brain or into someone else's. You'll have to watch the movie to fully appreciate the brilliance of the concept and the imaginative things the plot did with it. I was VERY impressed. The exciting climax will have you on the edge of your seat!